We are a leading Manufacturer of clove seed, fenugreek seeds, coriander seeds and cumin seeds from Ambarnath, India. We are the well known Exporter and Supplier of Fenugreek Seeds that is extremely effective in lowering blood sugar and blood cholesterol. 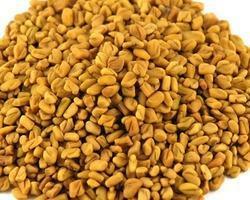 Fenugreek Seeds are widely used as a flavoring agent in a number of medicines and dishes. These products have celery and bitter odor, sweet aromatic flavor, and caramel to light yellow in color. 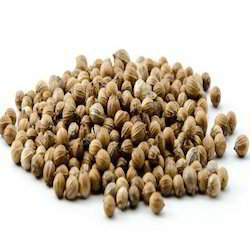 We are known to be a premium supplier of the rich quality Coriander Seeds. 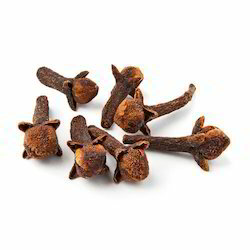 Widely popular for their rich taste and aroma, the spices are very evenly priced. The products are acknowledged in the industry for their premium packaging and superior quality. We are a brand highly recommended for maintaining high quality standards. 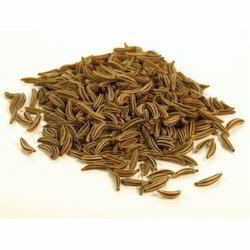 Cumin Seeds is the dried seed of the herb Cuminum cyminum, a member of the parsley family. The cumin plant grows to about 1 to 2 feet tall and is harvested by hand. Cumin is a key component in both chili powder and curry powder. Cumin seeds are a popular form of spice that is known for their aroma and are used in Indian, Pakistani, Cuban-Mexican cuisine, etc. Also known as Jeera, these cumin seeds have been extensively used in culinary preparations in the Indian subcontinent since ages. The flavor of cumin plays a major role in Mexican, Thai, Vietnamese, and Indian cuisines. Cumin is a critical ingredient of chili powder and is found in achiote blends, adobos, garam masala, curry.